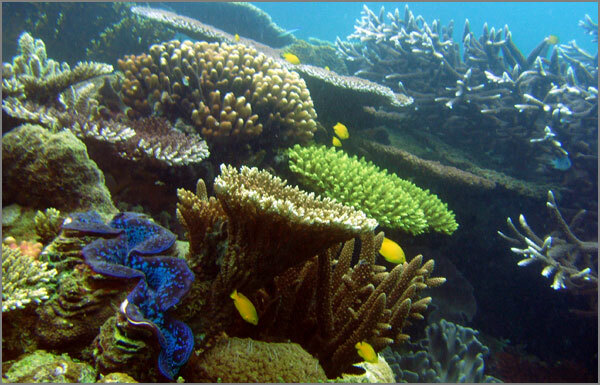 United Nations scientists recently visited Australia, with a view to listing the Great Barrier Reef as an endangered World Heritage List item. The Reef faces rising temperatures and pollution from mining and agricultural chemicals but also the threat of massive new coal loading developments along Queensland’s northern coast. Environmental organisation Greenpeace says one proposal at Abbot Point would involve dredging the reef to remove “enough material to fill the Melbourne Cricket Ground 67 times”, to facilitate access for coal freighters. Greenpeace has initiated a fund-raising campaign to mount a court case over coal and gas mining ventures. The campaign will enlist the support of farmers’ organisation the Lock the Gate Alliance which opposes the mining of coal and coal seam gas in agricultural areas. The mining industry and its parliamentary representatives have accused Greenpeace of threatening the national economy by attempting to stop coal mining, acting recklessly with short-term thinking, and seeking to use the courts to delay new mining ventures. The government has threatened to cut its tax-free charitable status. These arguments are phoney. For a start, the Greenpeace campaign is not aimed at shutting down mining altogether, but at limiting the growth of coal mining, with a view to phasing it out. It is not demanding the immediate cessation of coal mining. The combustion of coal, principally in the world’s power stations, is the major contributor to the emission of carbon dioxide, the most voluminous of all the greenhouse gases emitted by human industrial activity. So-called “clean coal” technology, the collection, liquefaction and disposal of vast quantities of carbon dioxide emissions, offers no solution. Apart from technical problems, the extra cost would eliminate the economic advantage that coal-fired power generation enjoys over renewable energy power. The coal industry therefore has no motive for implementing the technology. Secondly, the Greenpeace campaign is concerned with mitigating climate change, a major threat to this and future generations. In contrast, the coal industry is promoting the line that its new mines will create jobs and benefit the nation. The industry belittles scientific evidence over climate change, and attacks any organisation that opposes coal mining proposals. The coal mining industry has consistently fought attempts by mineworkers to improve their conditions and pay, but neither the industry nor Australian governments have taken steps to retrain miners to take other jobs when renewable energy power production economically supersedes coal-fired power. It is the coal industry and its backers, not Greenpeace, that’s taking a short-term view and acting recklessly. Thirdly, Greenpeace has certainly discussed the effect that court procedures would have in delaying proposed new coal ventures, including the proposed new Abbott Point coal port. The industry and its backers are themselves willing to use delaying tactics. Nevertheless, Greenpeace would be well advised to avoid describing delay as their primary objective. The coal companies could argue that Greenpeace is a “vexatious litigant” i.e. an organisation that takes matters to court even if they have little or no chance of winning their case, because of the damage that delays or court costs would have on their opponent. Vexatious litigation is a punishable offence, and a conviction would be damaging in terms of public support. The central issue in taking legal action is to secure a decision against the Point Abbott scheme and other proposals. This would have significant implications for coal mining in general. Court decisions in the Mabo case and many others have proven crucial in altering government policy. The only rule that’s consistently applied under capitalism is: do whatever you can get away with in order to maximise the profit level. There are no friends in business. Nor is there any fixed loyalty to a particular form of production. If a new form proves more profitable, investors will desert the old in favour of the new. At the moment the massive coal industry enjoys advantages over the renewable energy sector because it is fully established, and has highly developed technology, amortised plants, greater economies of scale – and friends in high places. Technology is improving the efficiency of both forms of energy production. However, the development of coal-fired power generation is much less rapid than that of its youthful rival. When the efficiency of power production from solar, wind or other renewable energy sources begins to pass that of coal-fired power production, investment will begin to move to renewable energy. As the margin increases that movement will become a flood. Capitalists who find that the technology into which they have sunk their money is becoming outdated sell their shares as quickly as possible, or do whatever they can to protect their position – and that includes calling in favours from politicians, attempting to discredit the new technology, or even buying up patents to suppress its development. If all else fails, they try to delay the development and implementation of the new technology. Where the technology represents a dominant economic force, political parties serve their interests. Australia’s two biggest parties are both keen to draw “green” votes, but their actions have been severely compromised by their subservience to mining interests. NSW premier Barry O’Farrell has expressed a desire to ban all wind farms from the state. The federal government recently terminated a scheme of rebates for the installation of domestic solar-powered hot water systems, a very efficient means of conserving electrical energy. Under pressure from farmers and rural communities over coal seam gas operations, O’Farrell has claimed that new legislation will protect the best agricultural land. O’Farrell’s minister for energy, Brad Hazzard, says that all mining applications will be subjected to scientific examination of the land in question (presumably by soil analysis) to determine its quality. That’s just a stalling tactic. One of the most controversial proposals involves CSG mining under the wonderfully fertile Liverpool Plains. There is no need to subject this area to scientific testing; its productivity is proof of its agricultural value. Greens MP Jeremy Buckingham has also pointed out that some areas which have poor soils have nevertheless proved to be highly productive for agricultural purposes. The coal mining industry and federal and state governments are deeply concerned at facing a united front of environmental and farming organisations, left-wing and progressive political parties, community groups and concerned individuals. And so they should be. That sort of an alliance is really likely to upset the status quo.